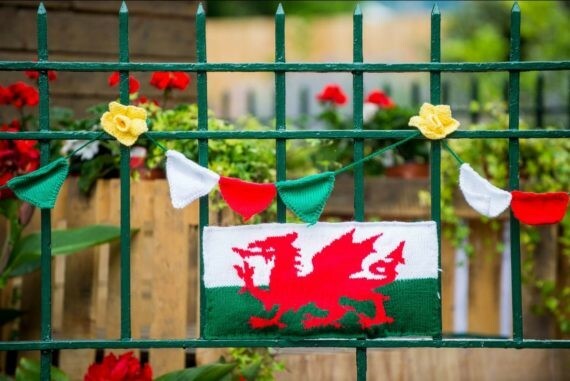 The Monmouthshire and District National Eisteddfod of Wales took place in Castle Meadows in Abergavenny this summer featuring poetry, dance, song music, theatre, literature and art. Last summer in my home town, better known for rain than sunshine, I could be forgiven for thinking I was somewhere exotic. It was hot and foreign sounds were all around as the town fell under a spell created by a thoroughly Welsh festival, bringing with it a very particular kind of magic. Purely researching and talking to the Eisteddfod Visual Arts Team in advance of performing LOST LIBRARY – Border Country hadn’t prepared me for its full force and walking onto site the first day with a foreign, yet local language surrounding me with the sun beating down I could be forgiven for thinking I was daydreaming. I was enchanted by the beautiful sounds of Welsh speech and song that resonated around the meadow it would call home for a week, popping up again a year later in Anglesey. Colourful, lyrical and highly spirited with a distinctly Welsh rhythm to it. 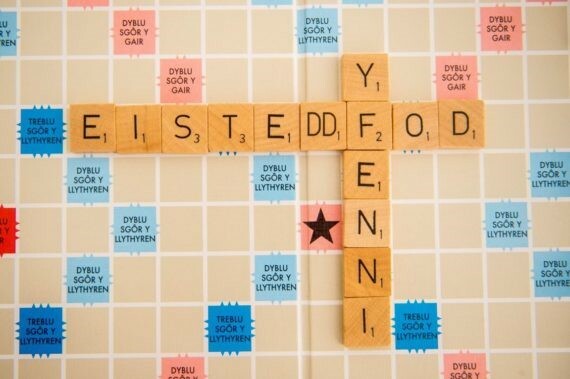 The term ‘Eisteddfod’ is often used throughout the year for Welsh festivals of literature, music and performance and it literally means to sit and be; the closest to this in English is session. 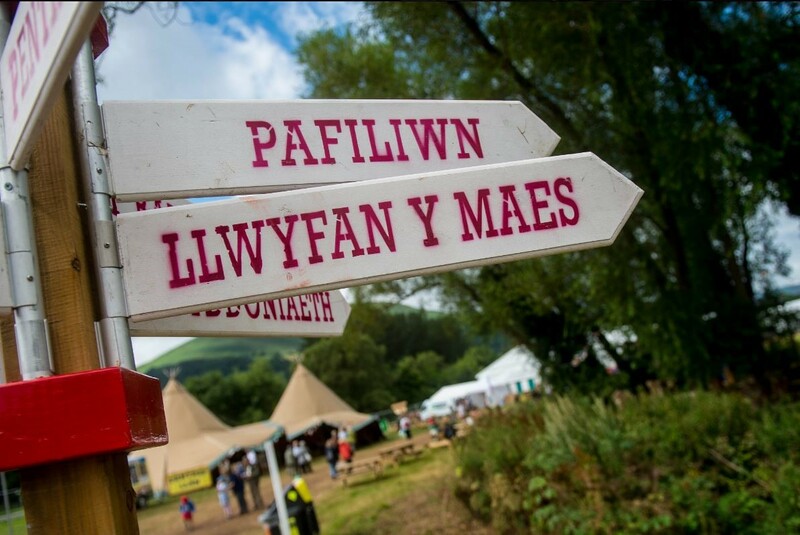 The National Eisteddfod of Wales happens once a year, alternating between North and South Wales, the language spoken in the North is slightly different to that in the South. 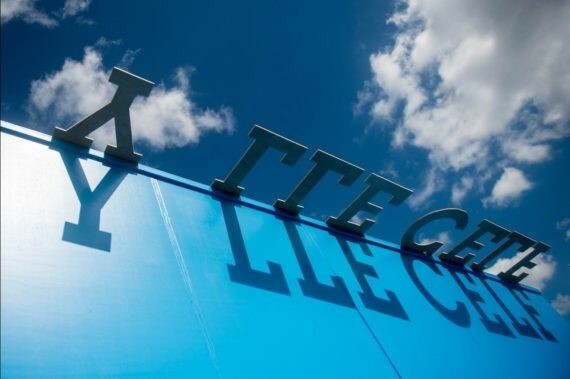 The tradition of the Eisteddfod began in the twelfth century, later declining and revived in the eighteenth century. Overall my impression of Y Lle Celf was of an invigorating space and as I choose not to have a catalogue, also without commentary, so it was just me and the art. 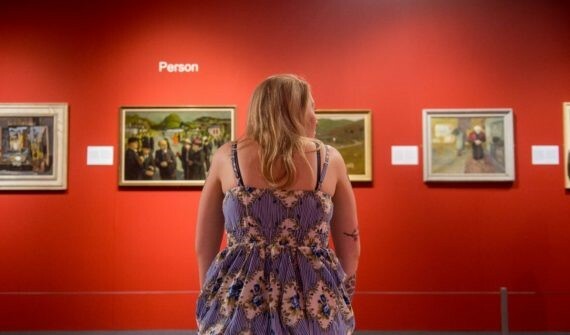 The Open exhibition has a democratic approach to its role of being Wales’ annual National Art Gallery; established, mid and early career artists submit work and no one is guaranteed a place. The selectors this year were Rachel Conroy, Helen Sear and Anthony Shapland. 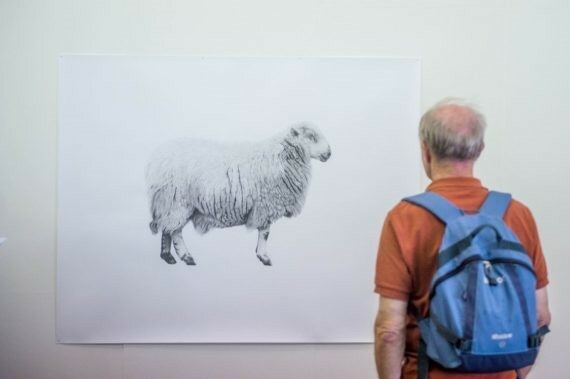 Walking in I came across a delicate, finely detailed graphite sheep by Robert Davies, at half-life size displayed at eye level. Feeling already thoroughly aware that I’m in Wales, I wondered what can possibly be achieved by rendering this ewe in such detail. There must be a wider context to this piece than simply the sheep. Having not come across Davies’ work before, I concluded for the moment that the fine attention to detail was perhaps a meditation on oft overlooked sheep, on what is here right in front of use if we’d look. My initial reaction betrayed my complacence on the landscape I live in. I was left wondering about this and my attention traveled across the surface noticing the parchment like texture touched by the graphite. 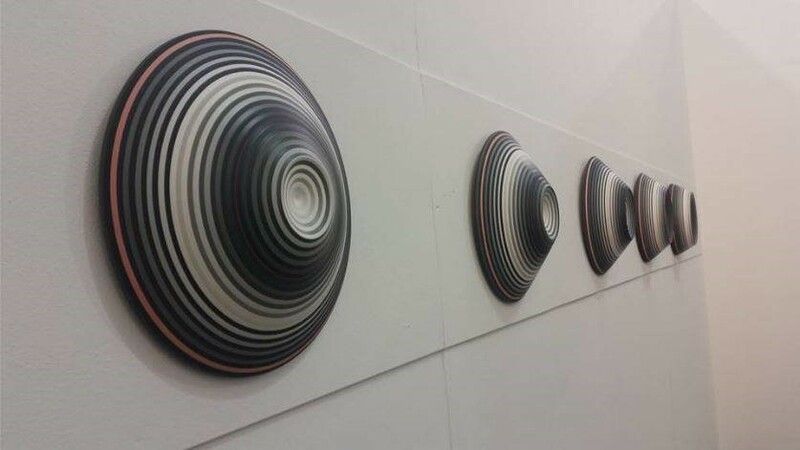 Next to catch me was Jin Eui Kin’s Inversion III popping out across the space. The pieces magnetically charging the surrounding air like a high-powered op-art vortex. If I step too close might I teleport to the ISS? The intensity. Music system speakers from another world, I’m imagining the buzz when turned on. Andrew Stitt’s Municipal Wall Installation in a residential Complex in a parallel universe – well – what do I say to that title? Basically, the title says so much, it leaves my imagination dry. It flattens the work. The title must be important I think, but then, no, if the title is so important then why bother painting at all? Which came first, the title or the painting? And does it matter? The title matters to the viewer coming across it as once read, it’s impossible to forget and the mind filters what one is seeing in the work, no matter how hard you try to stop it. An independent reading of the work is now impossible. Is the over detailed title part of his exploration? I find I am slightly annoyed at the imagined control over the viewer. This work by Andre Stitt has now turned into an irresistible itch. My dilemma: to seek out what he says about the work himself, possibly spoiling my fun in guessing, or to leave it until I’m in front of his work again to thrash it out alone? 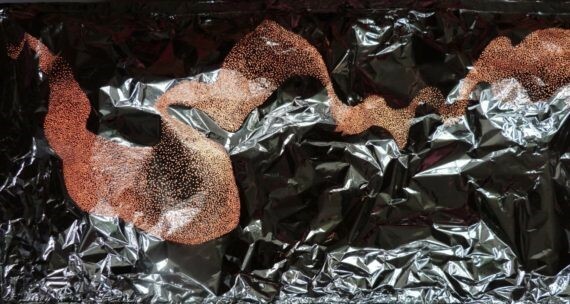 ‘Dawns y drudwy’ by Gwenllian Spink, Aluminium foil and lightbox. The perforated aluminium foil represents the daily dance and endless interweaving of starlings, before they disappeared to nest under the Pier in Aberystwyth, the artist’s home town. It is a visual map of their path between sea and land, between the sunset and stars of the night. Drawing birds as dots of light; thought of the starlings’ singular focus on their task, like a rink full of experienced ice-skaters, swiftly altering course as needed, pirouetting with the changes. a dance, yet stilled in mid motion, condensed through contemplation and into micro representation. This interpretation of dance is both captivating and perceptive. The Open Exhibition’s main prizes are: The Gold Medal for Fine Art, won by Richard Bevan, The Gold Medal for Craft and Design, won by Lisa Krigel and the Young Artist Scholarship going to Gwenllian Llwyd. Ffiniau : Four painters in Raymond Williams’ Border Country. Paintings by Raymond Williams’ contemporaries. Both Raymond Williams’ novel and these paintings inspire comparisons with the very different rhythms of the past. They help us to engage imaginatively across differences, reaching from times long gone to a present in which we need to be reminded, sometimes urgently, that more unites us than divides us. It was a highly evocative and relevant exhibition, capturing a feeling of a time not so very long ago, it seems close and yet so very distant. Having recently read Border Country (by Raymond Williams) recently enhanced my understanding of the world depicted in the paintings. The background setting of the festival meant that the Ffiniau exhibition felt like being in a time capsule with paintings created by painters who really knew their subject. A time of economic changes, upheaval and challenges echoing down the years. 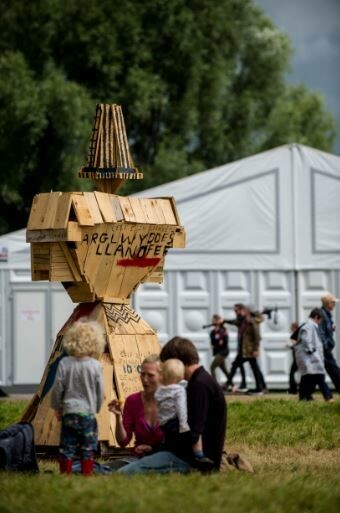 Around the site was commissioned art for the field: these were two huge wooden installations of a woman and a man in traditional Welsh dress (approximately 3 metres in height); they were painted in text by the artist during the festival week. There were many performances going on in the main Pavilion (visitors can borrow translation devices for this) as well as the festival all around, music, dance, spoken word. As I couldn’t understand much, my companion and speech reader, Marianne, was invaluable! I highly recommend finding someone who speaks Welsh to go with as well as learning a few key words and phrases in Welsh, to be more connected to the whole thing. I experienced only a small part of the music, dance and song going on and it certainly whetted my appetite! All I can say is if you get the chance next year, go and see for yourself, immerse yourself in something embedded into Welsh culture. People of all ages were both audience and participants. In Abergavenny town centre, current and historical images around the Eisteddfod and the town were projected onto The Angel Hotel in celebration of the festival. 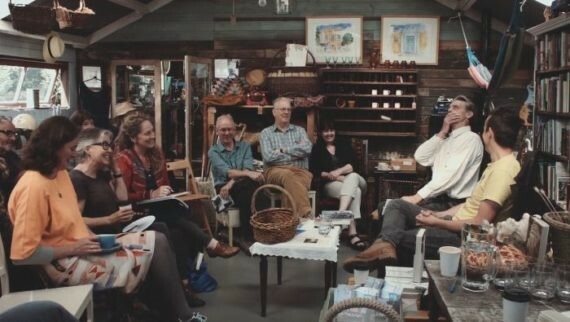 A series of talks on the fringe programme during the Eisteddfod at the intimate and aptly named Cabin of Curiosities brought together artists, writers, a geologist, curator, photographers, producer and presenter, Eisteddfod Gold medal winner for Fine Art and the audience to fascinating conversations, this time in English with a splash of Welsh. Art and environment, an alternative walk, illustrated talks on creative responses to an old building, in conversation with Gold Medal winner Richard Bevan, the influence of photography at Newport College of Art, an examination on the borders and peripheries in literature, and a discussion on the work of Raymond Williams. Most mornings during the festival PEAK/COPA (an offshoot of ArtsAlive Wales) hosted a creative talk, near the Eisteddfod site. On the first Saturday Jamie Lake and Toril Brancher presented their responses to their residencies at Llwyn Celyn, a lost medieval hall house nearby. Toril Brancher’s evocative photographs honed in on plant life and she asked Could the grass remember? 6. Jin Eui Kin, Inversion III, 2016. Photo: Jin Eui Kin. 7. Gwenllian Spink, Dawns y drudwy, July 2016, Installation view, National Eisteddfod. Photo: Gwenllian Spink. 9. Unknown artist, Scultpure commission, July 2016, installation view, National Eisteddfod. Photo: Aled Llywelyn. 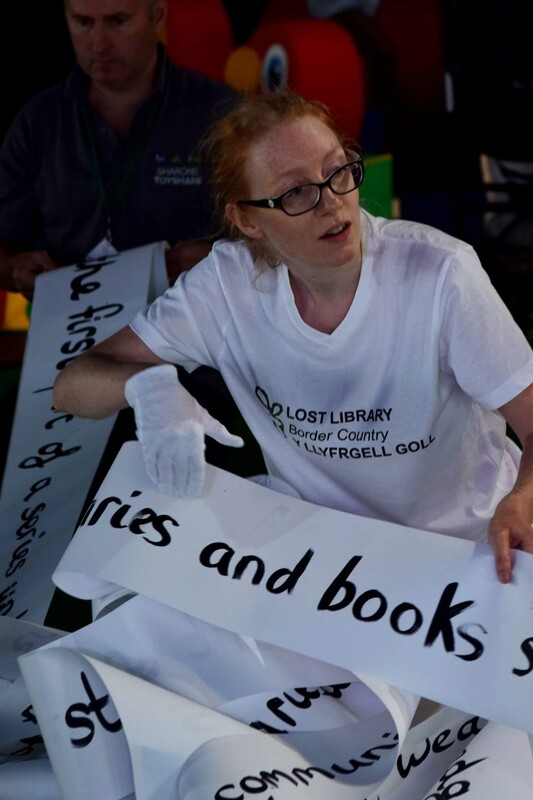 10.Catherine Wynne-Paton, Lost Library-Border Country, July 2016, performance at National Eisteddfod. Photo: Jane Gilbert. 11.PEAK On the Edge, July 2016, still from video of creative talks. 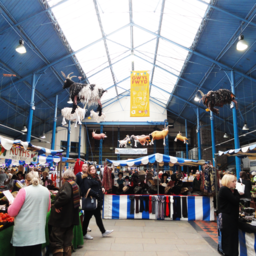 Photo courtesy PEAK / COPA Arts Alive Wales.